2019’s big question: How do we vote? 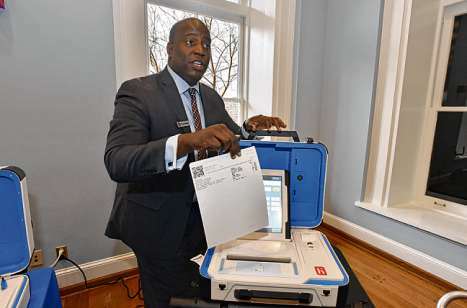 Dwayne Broxton, with Hart InterCivic, demonstrates his company’s digital voting system. Almost every state uses some form of paper ballots, and almost every lawmaker in Georgia wants a way to verify elections. Election integrity groups are pushing hard for hand marked paper ballots, but some election officials and voting companies prefer the more tech-driven system, called ballot-marking devices. Most companies vying to win the state’s voting system contract - including the state’s current election vendor, Election Systems & Software - are promoting the more expensive option, ballot-marking devices, but they also provide hand-marked paper ballots. 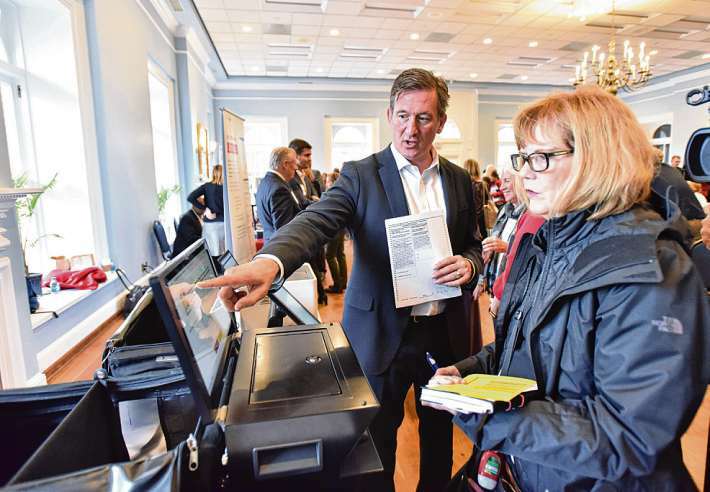 State Rep. Barry Fleming, a co-chairman of a state government group evaluating voting systems, said paper ballots could be used to double check machine counts for accuracy. But he said paper ballots need to be combined with other election security measures to prevent fraud. Those voters said they’re suspicious of ballot-marking devices because they often print ballots with bar codes that contain votes in a computer-readable format. Because voters can’t read barcodes, they say they have no way of knowing whether the barcodes accurately represent their choices.